Date into Rescue: See below. Reason for being in rescue: Beaux originally came to CPR in 2015 as an owner surrender. He was adopted by a loving family. 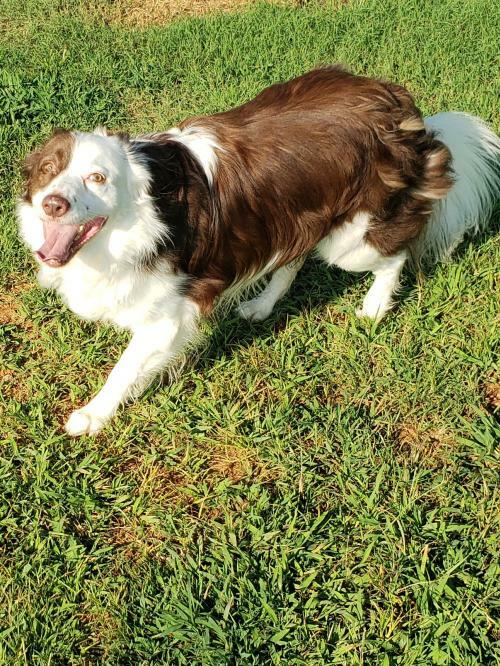 Unfortunately, Beaux became aggressive toward a small dog in the home and he was returned to CPR in June 2018. What kind of home would be best for me: Beaux needs a home with experienced owners. He cannot be in a home with small dogs. We have tried him with several large dogs here. He will walk on a leash side by side but when the new dog tries to "sniff and say hello" and properly introduce themselves as dogs do, Beaux wants no part of it. A part of the problem is he's so focused on making sure he knows where his human handler is that he does not want the distraction of another dog. Once he feels more secure, he may accept another large dog. Beaux's new family will need to understand that as a working breed, Beaux needs a job to do. He can't just be a couch potato! A nice big fenced in yard with plenty of open space to run would be just right, but remember that you have to be out there with him. Beaux does not want to run alone. He wants to be with his people and/or in his safe place - his crate. 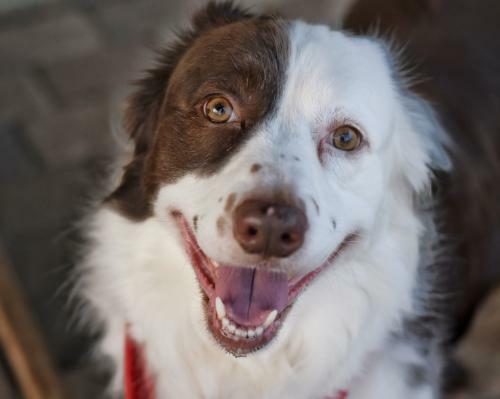 What is my personality like: Beaux is a gorgeous brown and white border collie. He is incredibly friendly to people and thinks they are wonderful. Beaux does have a lot of anxiety in him, anxiety that will temper but not completely alleviate once he is in his new home. He wants a person - he does not have separation anxiety but having someone love him is going to make him happy. Beaux is so smart, he can actually open doors when the mood strikes him! He enjoys being loved on and running around. 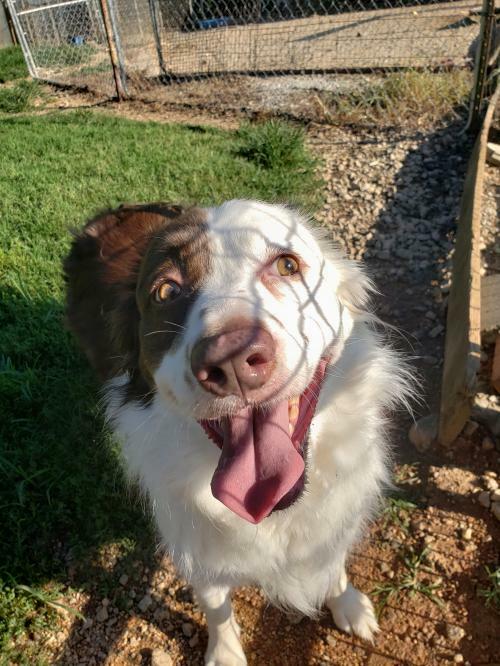 He is very mellow in his crate, but Beaux needs space where he can be free to run and enjoy life. He plays fetch and is not aggressive at all when you take the ball back from him. He just wants to be with you. He lets you know when he is ready to rest by nosing the door to go back in. Beaux is medium energy, depending on what is going on around him. Beaux is not food or crate aggressive to people he knows. A new person needs introduced before they can take the bowl out. A new person becomes a BFF in just a few hours. Simply spend some time with him and you will earn his trust. He is a toy hoarder and he loves anything that squeaks. He is very clean in his crate! Tips and Tidbits: Be prepared for a lot of people to tell you what a stunning, beautiful dog you have.